Sari Aalto has a PhD in Finnish and Nordic history at the University of Helsinki. 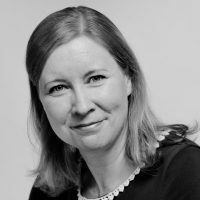 Since her dissertation, she has carried out research of the Finnish green movement and the formation of The Green League, a Green party in Finland. The book Vaihtoehtopuolue. Vihreän liikkeen tie puolueeksi (Alternative Party: The Path from Green Movement to Green Party) was published in May 2018. Previously, Aalto has studied the history of medical education and the medical profession as well as student culture and radicalism in Finland.